For cleaning of all types of wet cleanable flooring surfaces like tiles, glas, synthetic material and varnished surfaces. 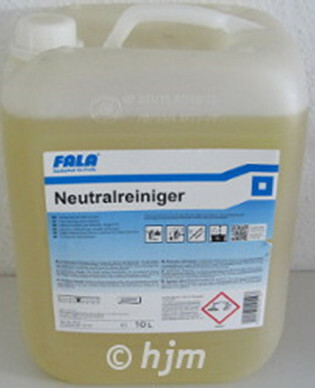 Neutral cleaner is pH neutral and also suitable for sensitive surfaces. It has a prolonged, pleasant smell and is suitable for cleaning machines. Neutral cleaner is not a hazardous good.